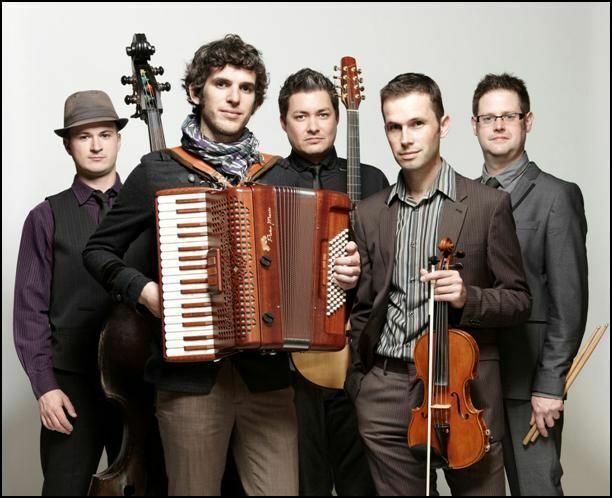 After a headline appearance at Somerset’s first Frome Folk Festival (Feb 18) , award-winning all-male Welsh band Jamie Smith’s Mabon (JSM) will be taking their high energy InterCeltic music to arts centres, village and town halls across England and Wales when they embark on a spring tour (March 6-24). The tour takes in Milton Keynes, Reading, Bridgwater (Somerset), Cockermouth, Norwich and Bristol as well as Welsh dates at Llanbedr, Solva and Caerleon. New band member Adam Rhodes joined at the start of the year, bringing bouzouki to the band’s soundscape for the first time and joining stand-out, in-demand fiddler Oli Wilson-Dickson, Bristol’s Matt “The Hat” Downer on bass and the irrepressible Iolo Whelan on drums and percussion. A new diversion for the previously all-instrumental band is the weaving of songs, penned by Smith, into the set - including the aptly named Yes We Sing Now (!) as well as some exciting shifts in style and sound. But it is Smith’s inspired, eclectic tunes that continue to dominate the material that delves into every Celtic corner – from their native Wales to Brittany, Scotland, Ireland, Galicia and beyond. His prolific and imaginative compositions take audiences on a magical whistle-stop Euro tour with jigs and reels jostling for space alongside Breton an dro, French mazurka, Galician muinera and even shades of klezmer in an exuberant, feelgood show. Festival appearances later in the year will include headlining Fishguard Folk Festival (June 2) and Cornwall’s Lowender Peran Celtic Festival (Oct 18) as well as Priddy Folk Festival (July 8), Towersey (August 23-27)and Derby Festival (October 5) with the much anticipated new studio album scheduled for autumn release. JSM are also looking forward to 2013 when the WOMEX World Music Trade Fair comes to Cardiff. A collaboration comprising Welsh Music Foundation, Wales Arts International, Wales Arts Council and others have been working towards this goal and the 2010 WOMEX convention in Copenhagen culminated in a 'Wales Showcase' featuring a host of Welsh talent including Catrin Finch, Calan, 9Bach and Mabon. JSM’s website - in Welsh, English and French - can be found at www.jamiesmithsmabon.com where all concerts are listed.